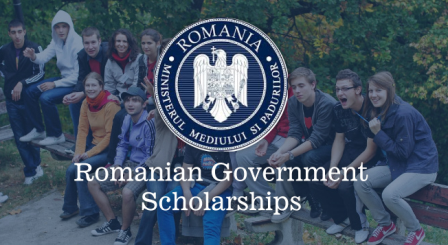 Good news: The Romanian Government through the Ministry of Foreign Affairs offers Scholarships to foreign citizens to study for Undergraduate, Masters and Doctoral Degrees for the 2016- 2017 academic year. Brief Description: This is the date whereby Foreign diplomatic missions accredited to Bucharest must send the application files with a Verbal Note to Ministry of Foreign Affairs – Public, Cultural and Scientific Diplomacy Directorate. However, the candidate should enquire at the diplomatic mission where he intends to submit the application file about the enrolment calendar. The deadline for submitting the application files is established by each diplomatic mission. Eligible Field of Study: priority will be given to the candidates applying for: political and administrative sciences, education studies, Romanian culture and civilization, journalism, technical studies, oil and gas, agricultural studies, veterinary medicine, architecture, music, arts. for the 3rd cycle (doctorate) this scheme is dedicated to the graduates of university/postgraduate studies (i.e. master); it lasts for 3-4 years, in keeping with the specific requirements of the chosen faculty, and ends with a doctor’s thesis. Eligibility: Citizens of non EU countries (irrespective of their country of residence) are eligible to apply. Priority is given to citizens from non EU states with which Romania does not have cultural and education cooperation agreements. Language of Study: In order to promote Romanian language and culture, the Ministry of National Education has decided that the beneficiaries of the scholarships should study only in the Romanian language. The candidates who do not know Romanian are offered one supplementary preparatory year to study the language. Students who declare that they know Romanian language will have to pass a language test organized by the competent higher education institutions. Now that all the information about Romanian Government Fully Funded Scholarships for Foreign Students for Undergraduate and Post-graduate has been delivered nicely; talented students who are eager to pursue their Free Tuition/Scholarships/Study In Romania for Undergraduate Bachelors, Masters, PhD, Associate Degree and Other Degrees, can apply now.